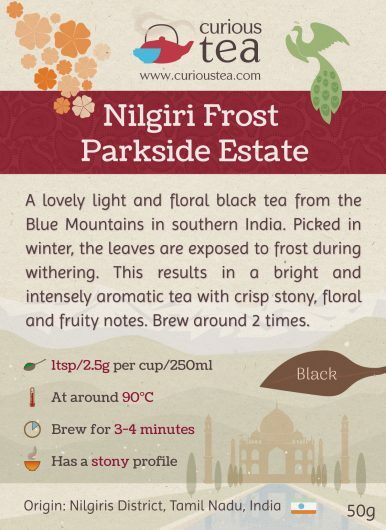 Nilgiri Frost Parkside Estate is a lovely light and floral black tea from the Blue Mountains in southern India. Picked in winter, the leaves are exposed to frost during withering. 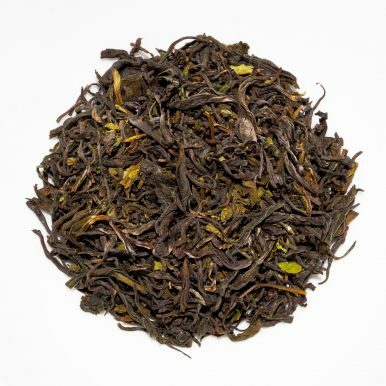 This results in a bright and intensely aromatic tea with crisp stony, floral and fruity notes. 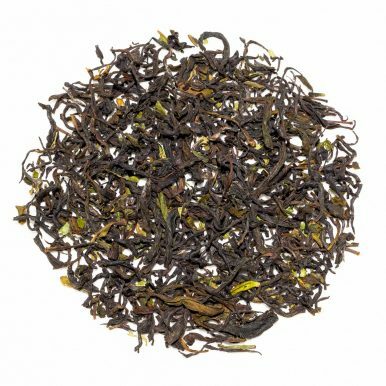 Nilgiri Frost Parkside Estate is a light and floral black tea that is grown on Parkside Tea Estate located in the Nilgiris, or Blue Mountains in southern India. 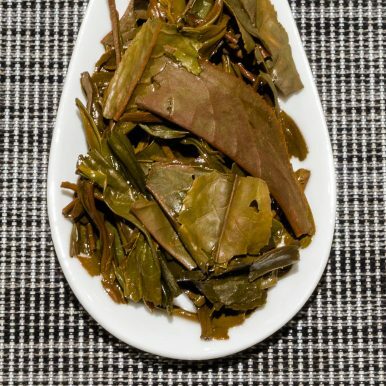 This tea undergoes unusual processing, somewhat akin to our Darjeeling Gopaldhara Red Thunder Gold oolong tea, during which the leaves are exposed to frost. This results in a unique profile, also giving this tea the ‘Frost’ name. The Blue Mountains form part of the Western Ghats in southern India. Many of the peaks are over 2,000m high, with the highest peak (Doddabetta) being 2,637m high. Parkside Estate is located at an altitude of around 1,800m and benefits from the topography of the region. The high altitude allows for production of this unique frost tea during the winter months, when the temperature in the mountains drops below zero at night. When a frosty period occurs, tea pluckers will gather tea leaves at night in order to get these slightly frozen leaves to the factory for withering. 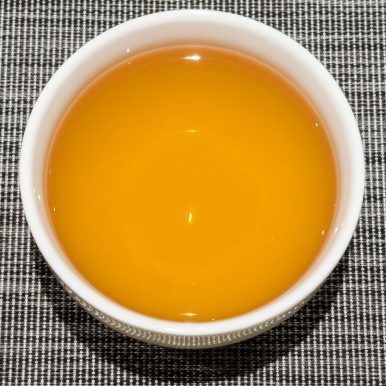 The withering process that takes place with the help of frost results in a highly aromatic tea, something that is usually lost during mechanical withering in conventional tea production. The production of this tea is a very laborious process that has to be impeccably timed in order to achieve perfect conditions, making Nilgiri Frost tea very special indeed. 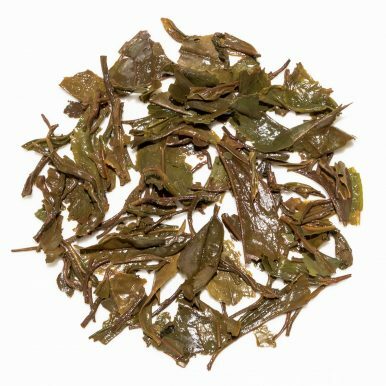 This tea is made using a China clonal cultivar CR6017, meaning that the plants used for this tea are descendants of plants brought over from China but that have been hybridised over time in order to meet specific selection criteria. 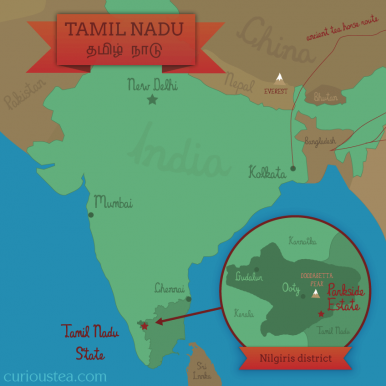 This cultivar is particularly favoured for producing characterful Nilgiri Frost teas. This cultivar produces a distinctive looking dry leaf during withering process – the edges of the leaves are flaked off during withering, retaining their green colour. 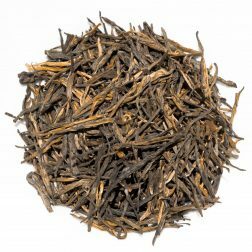 The resulting dry leaf of this Nilgiri Frost has a very attractive appearance of dark tea leaves with green and yellow flakes. 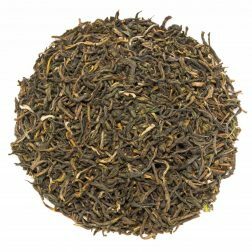 This particular batch of Nilgiri Frost Parkside Estate was plucked in December 2016. The dry leaves have a dark appearance with plenty of green and yellow colours mixed in. 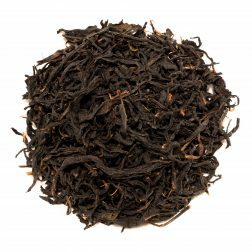 This tea will definitely appeal to Darjeeling fans as it shares some very similar qualities, while being slightly smoother and less mineral in taste. This tea is balanced, with floral and stony notes and crisp fruity flavours reminiscent of fruits of the forest. As there is no real astringency, it makes a very drinkable and satisfying cup of tea. 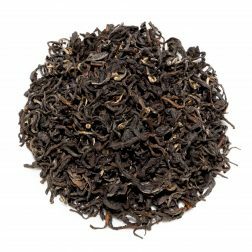 This Nilgiri Frost Parkside Estate black tea was first featured in our March 2017 Curious Tea Subscription Boxes.